On September 12, we're pleased to host seasoned pitch coach Claire Macmillan for Office Hours. Claire has over ten years of experience helping startups perfect their pitch — from creating the content for a full suite of investor materials, to reviewing your existing pitch deck and perfecting your verbal pitch. Her approach is tried and tested. Since 2004, she has been creating presentations and coaching management teams, working with 100’s of companies at all stages of development from Series A pitches through later stage fundraising, PE disposals and IPOs. 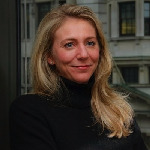 Her background as a criminal barrister in London and in equity capital markets for Merrill Lynch in London and NYC means she has real insight into the messages an investor needs to hear, combined with real experience of persuasive storytelling. Members will each have 30 minutes to work with Claire one-on-one. Please note that you will need to send us a copy of your deck a few days ahead of time to give Claire some time to review your materials and prepare feedback (you will receive instructions upon registration).